Custom built, one-owner "Atlanta" style residence located in prestigious Whitfield Plantation. Great care and attention to detail were given to this well built home! From the durable 50 year slate roof to the striking gazebo adorned poolscape, this home is beautiful as well as functional.. A grand two-story foyer with architecturally detailed curved staircase greets you as you enter. Large living areas and massive master suite with office on main floor. Second story includes three additional bedrooms, two are suites, and a bonus room/potential 5th bedroom. 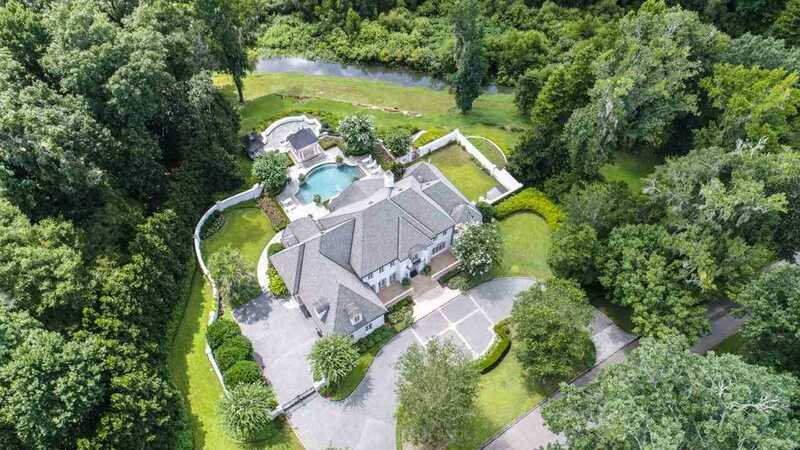 This stunning estate is situated on nearly 2 acres of lush landscaped privacy, minutes from both hospitals. 5,500 sq.ft. per owner, buyer must verify. SchoolsClick map icons below to view information for schools near 3349 Charleston Road Tallahassee, FL 32309.